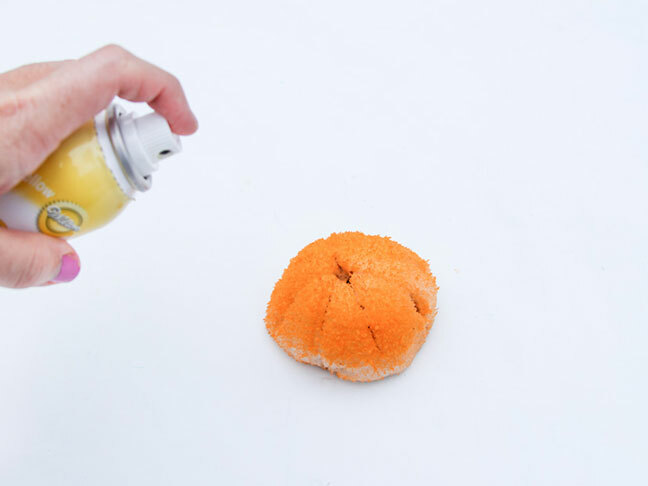 Make these colorful pumpkin cakes with store-bought Sno Balls (the Hostess kind), in about ten minutes. 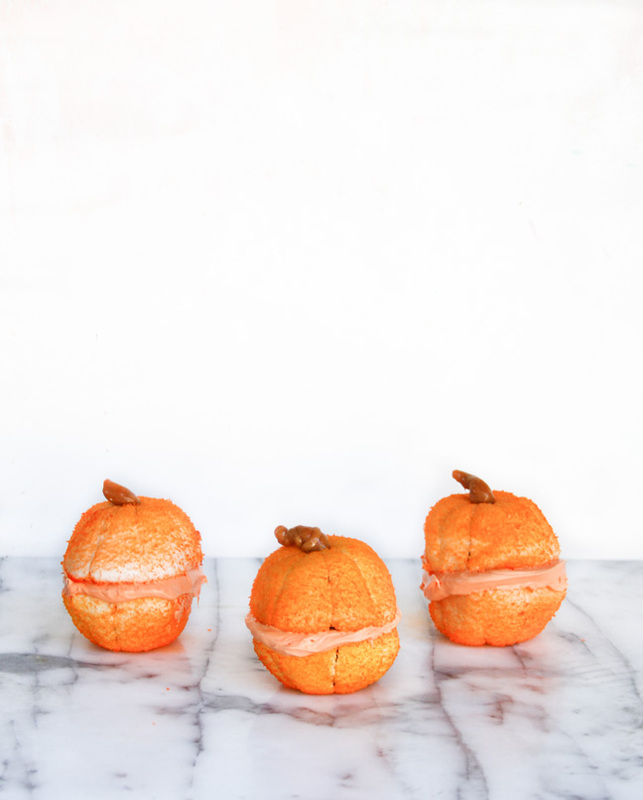 They’re super easy to make, and kids love the 3D pumpkin shape. 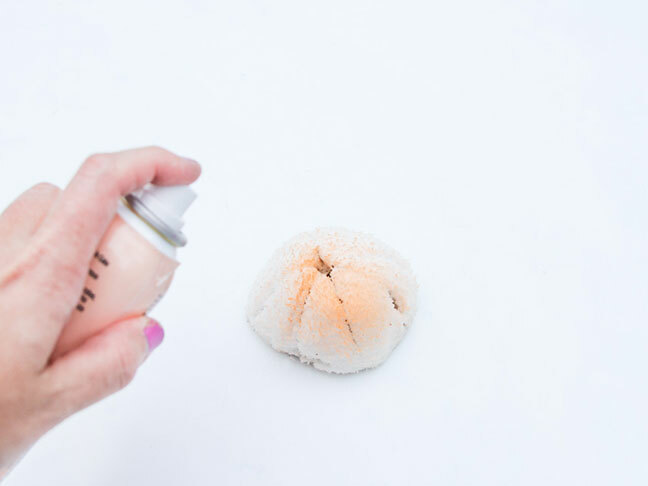 Step 1: Start by cutting indentions into each Sno Ball, one at a time. 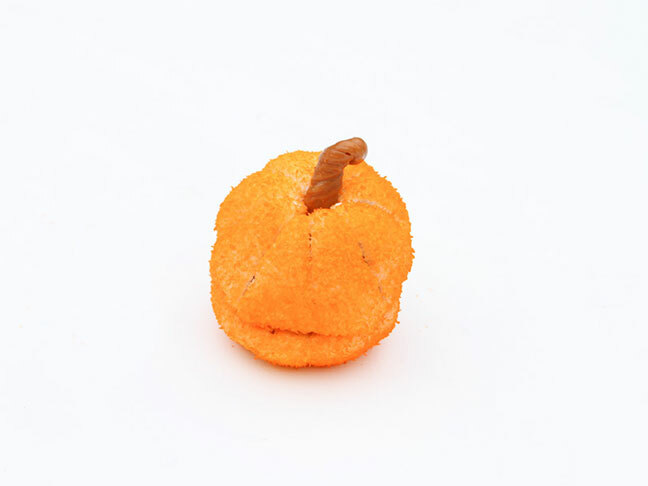 (Do not cut all the way through the cakes—you just want to indent the marshmallow exterior to create a pumpkin feel.) 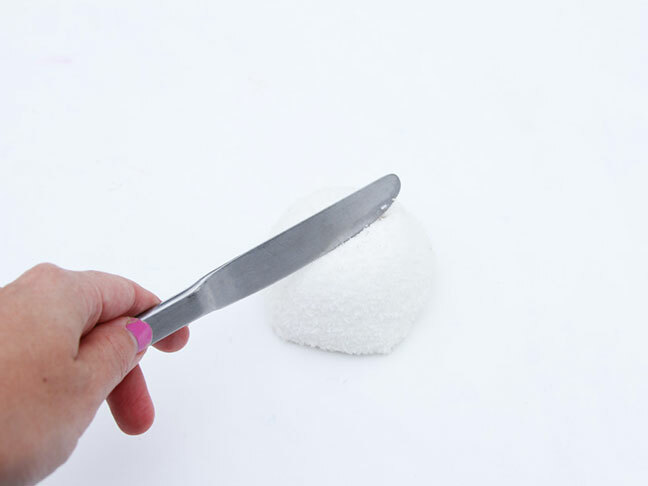 To make eight evenly spaced indentions, cut into fourths, and then create another line in between each of the fourths that have already been cut. 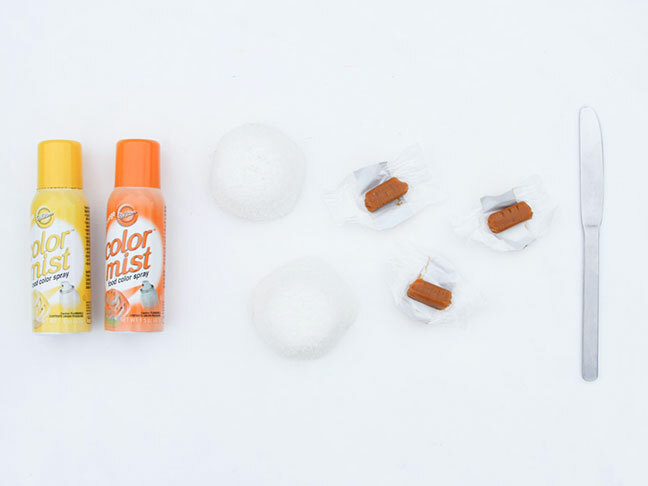 Step 2: Next, spray the orange color mist onto each Sno Ball. Step 3: Then, lightly spray the yellow color mist over the top to add dimension. Set aside to allow the color mist to dry. 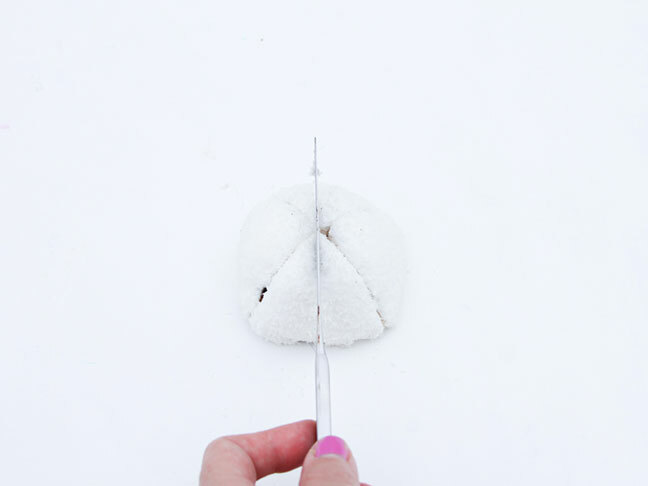 Step 4: Then, stack one Sno Ball on top of the other so that the bottom of each Sno Ball is facing inward, as shown in photo. Step 5: Next, twist a caramel candy into a long, stem-like shape. 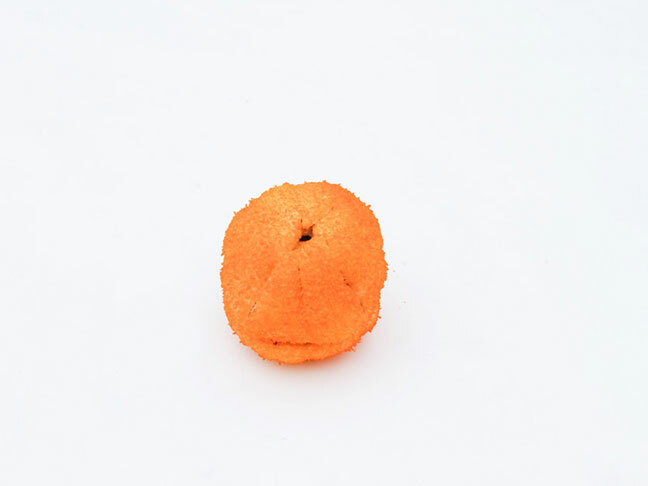 Then insert into the top of the pumpkin. You may need to cut a small hole at the top, with a knife, to fit the caramel stem in. Step 6: (Optional) Add frosting between the pumpkin halves, if desired. Now these pumpkin cakes are ready to eat! 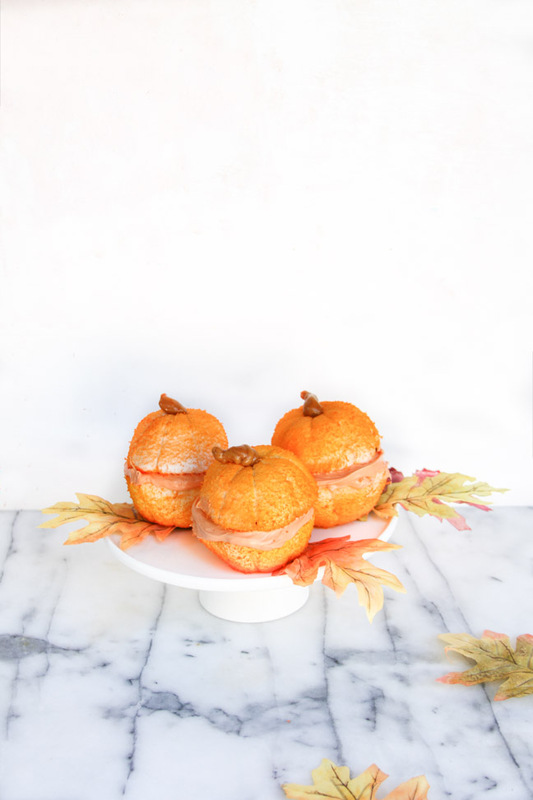 The small size and quick “recipe” make these Halloween treats a great option for holiday parties and fall festivals.